The Eagles are 1-0 heading into another road game that will pit Doug Pederson against his mentor Andy Reid in Kansas City. 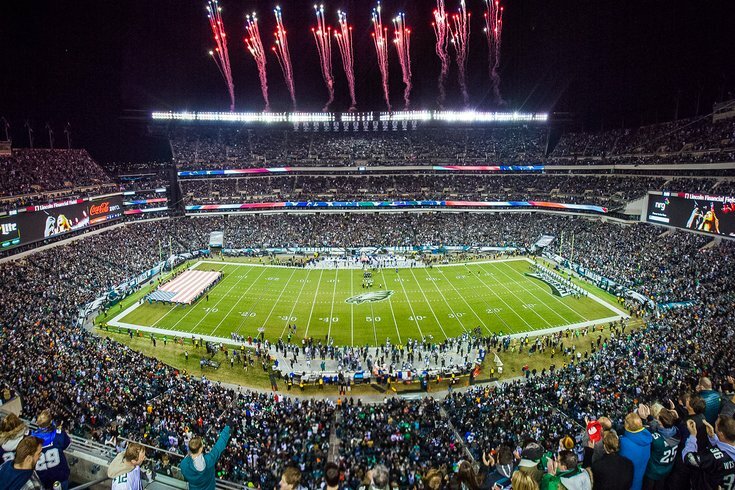 Regardless of the outcome there — it's a tough matchup for the Eagles — the action will return to Philadelphia the following week as the Birds take on the New York Giants for a 1 p.m. game at Lincoln Financial Field. For the fifth season in a row, Miller Lite is partnering with the Eagles SEPTA to provide free rides to and from the game on the Broad Street Line. The free rides to and from AT&T Station will begin at 9 a.m. and continue until 9 p.m.
“With thousands of Eagles fans taking the Broad Street Line to Lincoln Financial Field, the Free Rides program will be a nice way for them to appreciate the benefits of SEPTA and enjoy the game day experience," said Eagles president Don Smolenski. The Free Rides program is intended in part to prevent drunk driving before and after the game. Fans are advised to take advantage of public transportation and drink responsibly. “We’re always excited when we can partner with Miller Lite and kick-off the start of the football season with free rides on our Broad Street Line, ensuring that our fans enjoy game day responsibly,” said SEPTA General Manager Jeff Knueppel. To accommodate fans headed to the game, SEPTA will supplement regularly scheduled local train service with 10 extra “Sports Express” trips. More information can be found here.